Getting the right care for your eyes is important. 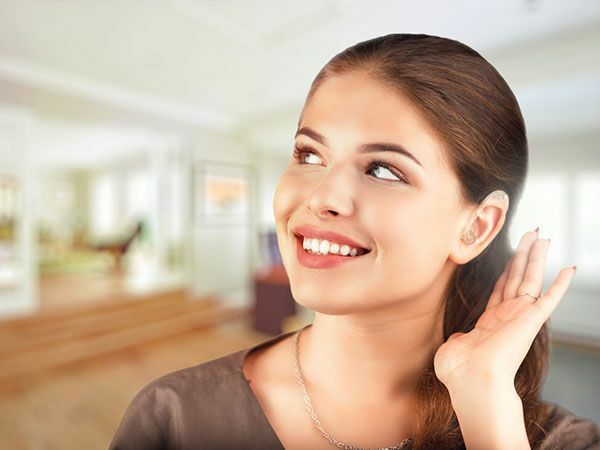 Our team works with you to make sure that you get exactly what you need. Whether it’s time to get your eyes checked, or you’re looking for a new pair of glasses to match your style, we have you covered. 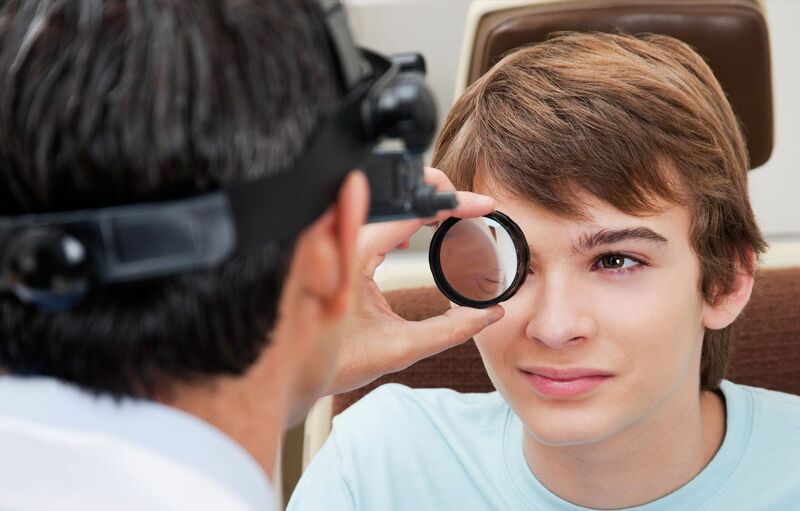 Eye exams are an important part of overall health. 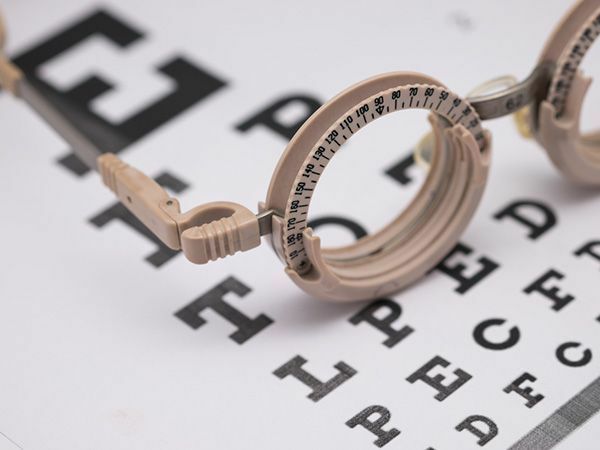 Not only is it important to be able to see clearly, but a comprehensive eye exam is critical to evaluating for eye diseases that could lead to long-term vision loss. 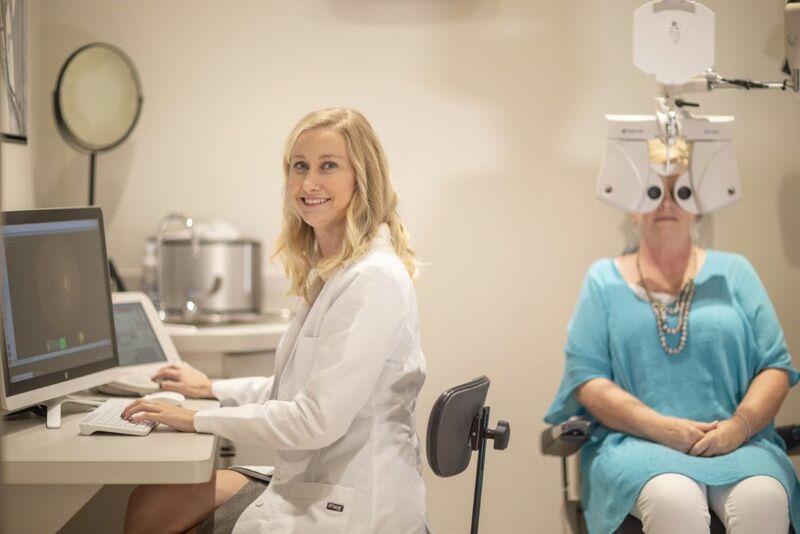 We use state-of-the-art equipment to better measure vision, as well as evaluate for eye diseases such as cataracts, glaucoma, macular degeneration, diabetic retinopathy and dry eye. We feel so strongly that an eye exam should be comprehensive that we include retinal photos and an OCT scan (to measure retinal thickness) with every exam. Most practices charge extra for these. Additionally, we never charge extra for dilation. Since our model is simpler, we can offer this comprehensive care in a more streamlined manner. From minimal paperwork to more automated testing, you will be able to benefit from a more efficient patient experience. As with everything, our aim is to make eye exams easier and ditch the extra steps. By not taking insurance we streamline the entire process and get you to the right prescription, faster. 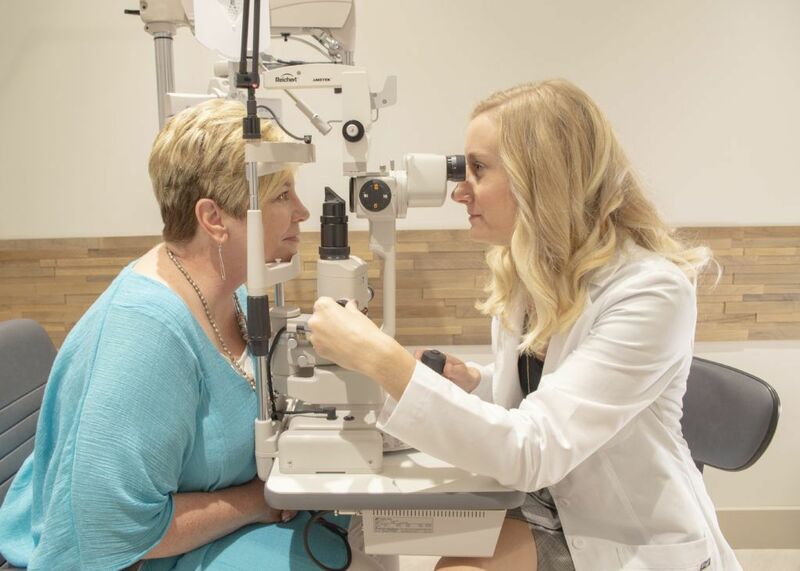 During our eye exams, our licensed Optometrist will perform a comprehensive eye health exam as well as educate you on what your prescription means for you, giving you more control over your sense of sight. Fashions may change, but looking your best and enjoying the clearest vision possible never go out of style. And you’ll be happy to know that we offer a variety of eyeglasses, so the look you want is always accessible. Our opticians will take the time to help you select the right prescription eyeglasses for your lifestyle, occupation and personal style. Lens Technology: technology is constantly advancing within the optical industry and we are committed to providing the best technology available, including digitally surfaced and high definition lenses. Lens Features: All of our prescription glasses include polycarbonate (thinner, impact resistant lenses) as well as scratch resistance and glare-free coating. 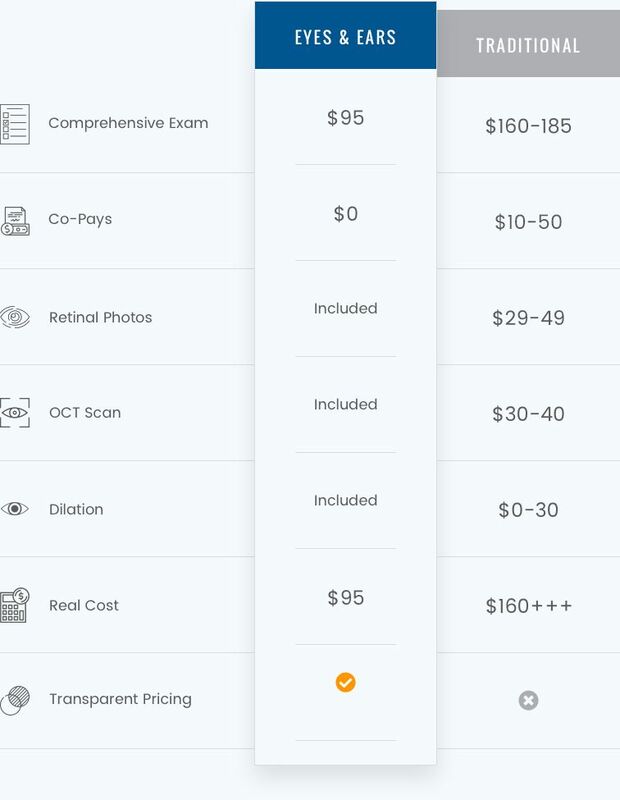 Compare that to other optical shops where you will most likely be charged at least $100-$200 extra for these. We can also add Transitions lenses (darken in UV light), polarized sunglasses and BluTech Lenses (the best blue light protection available) to your prescription glasses for a nominal fee. Kids’ Eyeglasses: Eyes & Ears makes wearing glasses fun for kids by offering cool, cute frames that include impact resistant, scratch resistant, glare-free lenses. Our opticians are excellent at fitting kids’ glasses for maximum comfort and vision, plus they will teach your child how to care for their frames and lenses. Our simpler model allows you to choose from our trendy selection of frames without worrying about choosing the one that is out of your budget. We’ve created a unique, one-price model where all our frames are priced the same. 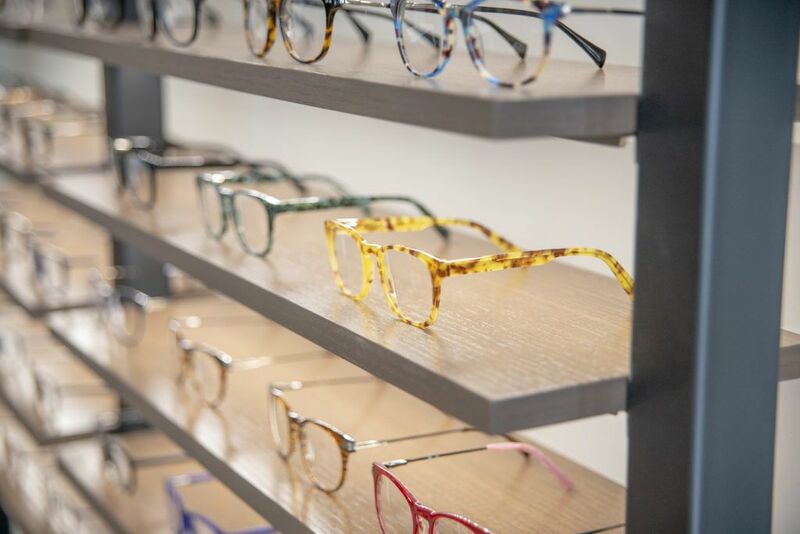 The usually frustrating and confusing experience of frame selection is simplified at Eyes & Ears. Our patients often remark at how much better the experience is compared to the last pair of glasses they purchased elsewhere. We offer style, simplicity and value in one place. Contacts support an active lifestyle where eyewear can get in the way. We remove the mystery around contact costs, so all of our prices are available up front. 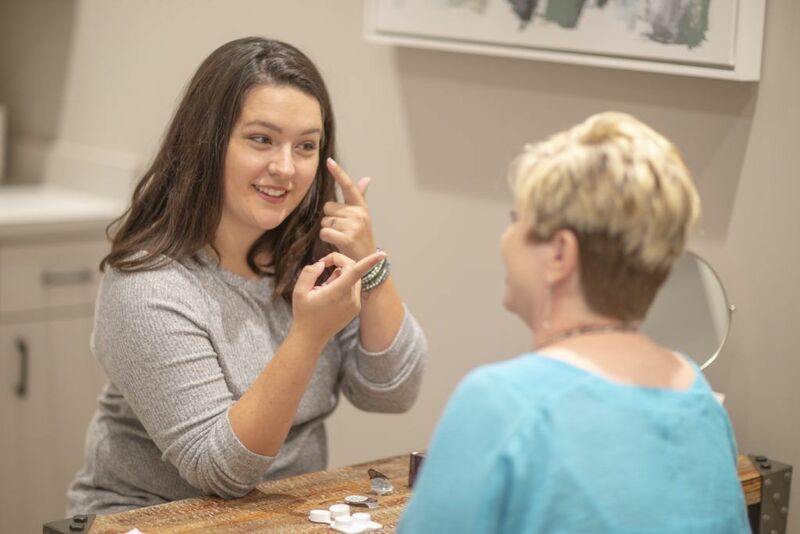 Get the contacts you need, whether you are getting an eye exam or bringing us your existing prescription.